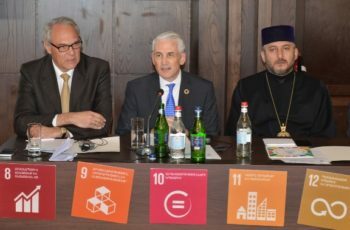 Armenian Round Table Foundation of the World Council of Churches, in cooperation with the United Nations Resident Coordinator, UNFPA, UNDP Armenia and the « Brot für die Welt » hosted a conference titled « Sustainable Development Goals and the Church » from February 4 to 5 in Tsaghkadzor Marriott Hotel complex. The priority of the conference was to discuss the 17 Sustainable Development Goals declared by the UN and accepted by Armenia, as well as the harmonization of the Church’s activities with these goals. Dr. Karen Nazaryan, Executive Director of the Round Table Foundation, Manoj Kurian, Representative of the World Council of Churches, Shombi Sharp, UN Resident Coordinator in Armenia, representatives of international and local organizations, employees of social centres operating under the Diocese of the Armenian Apostolic Church and supported by Armenia Round Table Foundation, and other guests. His Eminence Archbishop Arakel Karamyan, Primate of Kotayk Diocese of the Armenian Apostolic Church, welcomed the participants of the conference after opening remarks and prayers and noted that the Round Table Foundation, by organizing the event, once again underlined its dedication and care for social and educational development topics. Dr. Karen Nazaryan, Executive Director of the Round Table Foundation mentioned during the conference: « Many countries of the world are striving to harmonize their development plans with the SGDs as it is the requirement of the time. On the other hand, the United Nations is well aware that the close co-operation with religious institutions and leaders can greatly facilitate the implementation of development goals. For example a document entitled: « UNDP Guidelines on Engaging with Faith-based Organizations and Religious Leaders ». Indeed, faith-based organizations and religious leaders are a part of nearly all communities in the world. They not only contribute significantly to the development process, but also add value to the UN’s efforts in many ways. Of course, we must concentrate on those SDGs that are priority for Armenia ». 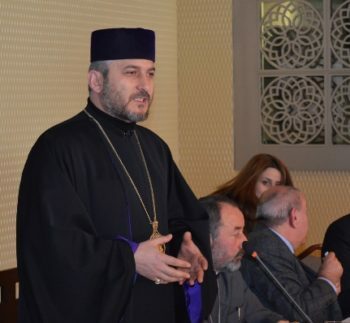 His Grace Bishop Mushegh Babayan, Chairman of the WCCART Foundation Board of Trustees noted that the Church had long been implementing projects aimed at overcoming poverty, access to education and community development. « I convey to you the blessings and wishes of the Supreme Patriarch for the conference to be successful, from distant Australia, » said His Grace. « In the spirit of the World Interfaith Harmony Week observed by the United Nations every first week of February, I truly believe that the Sustainable Development Goals, our road map to a sustainable future for the planet and humanity, find significant reflection in the mission of the Church. We are all walking this path together, and only together can we overcome the challenges we face – whether it be ending poverty and inequality, saving the environment from degradation, or reaching prosperity, peace and justice. 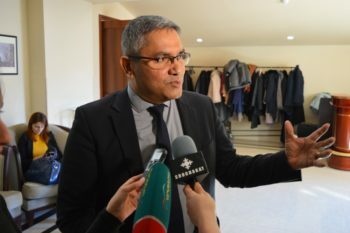 As the UN Secretary-General noted, ‘faith is central to hope and resilience’ », Shombi Sharp, UN Resident Coordinator in Armenia said. H.E. Bernhard Matthias Kiesler, Ambassador of the Federal Republic of Germany to Armenia, noted that cooperation with the Round Table Foundation has already become a tradition. « Social Centers with support from the Round Table play an important role in the community’s social life, and the Round Table Foundation is already supporting the Sustainable Development Goals. » he said. In the course of the event, Manoj Kurian, the specially invited speaker from the World Council of Churches, presented the SDGs from the perspective of faith and the church. « In fact, for more than a millennium the Church has been supporting the implementation of the goals that the UN has announced only now. The very basis of Christian philosophy and ideology is indeed helping each other, » he said at the conference. Mr. Rudelmar Bueno de Faria, ACT Alliance General Secretary from New York and Mrs. Heather Roy, Secretary-General of Eurodiaconia, European network of churches and Christian NGOs from Brussels joined with video messages, and all of them encouraged the cooperation of churches with partner organizations in the context of the SDGs under the aegis of the United Nations. 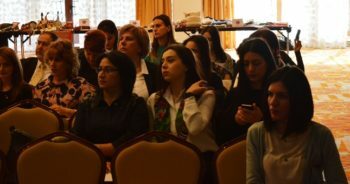 The other goal of the conference was to equip the servants of the Armenian Apostolic Church and the staff of diocesan social centers with the necessary knowledge about SDGs and to discuss how the Church can provide active support for the implementation of SDGs, in close cooperation with state bodies and the civil society. The role of the Church is greatly appreciated in the achievement of sustainable goals, because its servants have a clear knowledge about the socio-economic situation in the communities, they are aware of the needs of the members of their congregations and can have an invaluable role in implementing practical steps to achieve SDGs.